Sugar lip scrubs help remove dead skin from your lips bringing out new fresh layers, making lips soft, smooth, and obviously more kissable! This is great for men, women, and children. Whether you are facing the cold hard winter or blazing sun and hot wind, face it, our lips take a beating. It isn’t always enough to apply a lip balm, you need to exfoliate, moisturize and protect your lips. 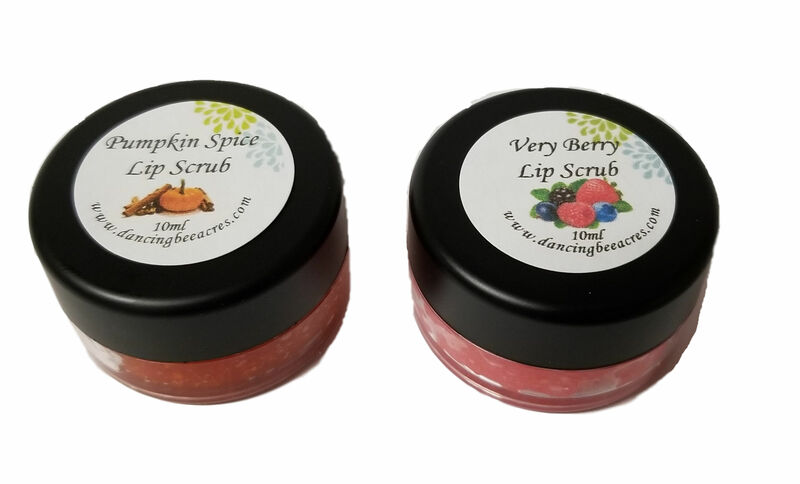 Our sugar scrubs are a wonderful way to keep your lips from cracking and bleeding due to exposure to the changing weather. Exfoliating regularly keeps your lips moist and helps them retain their moisture longer; helping to prevent cracked lips. Convenient 20ml jars.